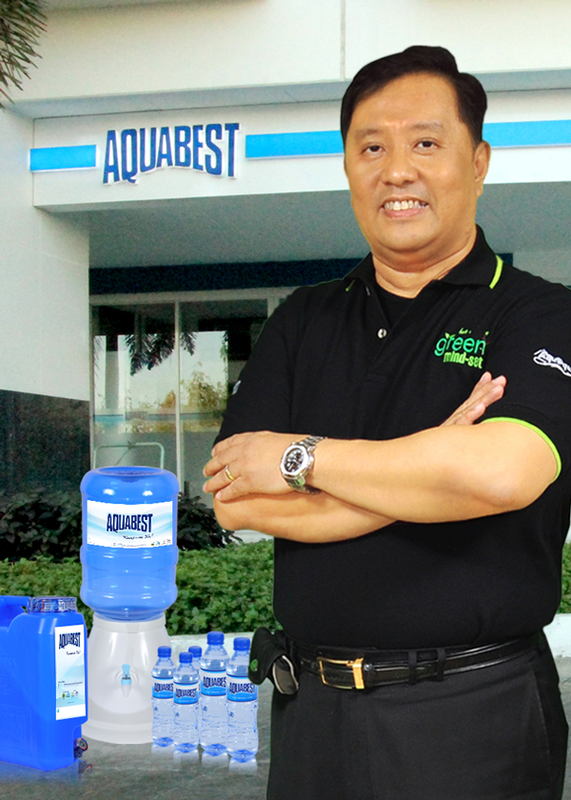 “The water station market in the Philippines remains hypercompetitive and fragmented,” noted Kendrick Go of GQWest, the parent company of the locally ubiquitous Aquabest water station business in an exclusive interview with Entrepreneur Philippines. While the company asserts its leadership in the local water refilling station business, it admits that it does feel the competition, which he says can only be faced and overcome with constant product innovation. The company will be launching a new water product and store concept by October called Livingstream NanoAlkaline Water, to buff the company’s more than 500 outlets nationwide. The location of the concept’s maiden store remains tentative, said Go, but its aim is nonetheless sure – to keep GQWEST afloat amidst a storm of competition. The company also looks forward to the possible franchising of the store concept. The new brand will be producing alkaline water through a natural process enabled by nanotechnology imported from South Korea. According to Go, what sets the concept apart is the absence of trace elements generated by electrolysis and ionizer-based technologies. “[Our brand] aims to provide a sense of security and peace of mind,” Go said. “That is why we always try to utilize cutting-edge technology to provide the best possible product. The idea of introducing a first in Philippines soil is not uncharted water for GQWEST as a local water business player. Back in 2009, the company launched Laundrybest, a laundromat franchise commonly bundled in with Aquabest establishments. 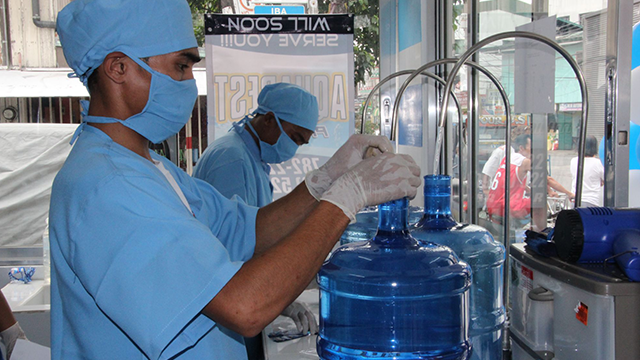 The idea behind this was to give Aquabest franchisees the capacity to maximize resources, since the by-product of the water filtration process can be utilized in washing laundry. In 2006, meanwhile, the company, also introduced to the Philippines the use of Grander Technology, an Austrian technology which restructures the microclusters of water to make it easier for the body to absorb. According to Go, such innovations went hand-in-hand with the company’s thrust to maintain its position as a primary player in its industry. “GQWEST has always been the market leader and trendsetter in the water refilling industry and we expect the current developments to further cement our leading position,” Go said. While GQWEST remains “ahead of the game” according to Go, he admitted that its current standing in the market remains contested. Adding to that roster is the Ayala-led Manila Water. Just last year, the company has launched, Healthy Family, a new player in the market of purified water business. Go mused that this new brand has the advantage of a centralized production facility. He also added that the “backing of their corporate principal gives them huge scale, logistical and resource advantages.” He stated however that GQWEST remains positive. Go added that the company has also proven its resilience. He said that it has a history rife with challenges that it was able to surmount and this includes a phase of near bankruptcy—one weathered by Tan himself through “hard-work and foresight.” The advent of new players, Go said, is but another challenge they have to overcome.